Resuming oral anticoagulation after intracerebral hemorrhage is a controversial topic. BOSTON — Resumption of oral anticoagulants after nonlobar and lobar intracerebral hemorrhage (ICH) is associated with more favorable outcomes and reduced mortality, according to study results presented at the 2017 American Academy of Neurology (AAN) Annual Meeting, April 22-28, 2017, in Boston. While post-ICH oral anticoagulation continues to be a debated practice, the impact of ICH location on functional outcomes after therapy resumption is not well understood. 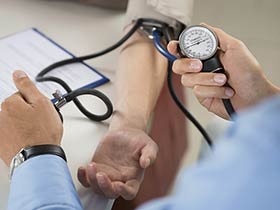 In order to better understand how ICH location affects outcomes, researchers led by Alessandro Biffi, MD, of Massachusetts General Hospital in Boston conducted a meta-analysis of patient data collected from 3 studies: the OAT-ICH study conducted in Germany (n=542), a longitudinal primary ICH study conducted in Boston (n=268), and the multicenter ERICH study (n=217). In total, 641 patients with nonlobar ICH and 386 with lobar ICH, all of whom were receiving oral anticoagulation treatment, were included in the study. After ICH, 28% of nonlobar ICH survivors and 23% of lobar ICH survivors resumed oral anticoagulation. In both patient groups, resumption of oral anticoagulants was not associated with ICH volume, CHADS2 score, or HAS-BLED score (P >.20). Among patients with lobar ICH, resumption of oral anticoagulants was associated with modified Rankin Scale score at discharge (oral anticoagulation [OA]: median 3.5, interquartile range [IQR] 3-5; no OA: median 4.0, IQR 3-5; P =.011). After multivariate analyses, resumption of oral anticoagulants after nonlobar and lobar ICH was associated with decreased mortality (nonlobar: hazard ratio [HR] 0.22, 95% CI, 0.16-0.30; P <.0001; lobar: HR 0.25, 95% CI, 0.17-0.38; P <.0001) and improvements in functional outcomes (nonlobar: HR 5.12, 95% CI, 3.86-6.80; P <.0001; lobar: HR 4.89, 95% CI, 3.25-7.36; P <.0001) at 1-year follow-up. 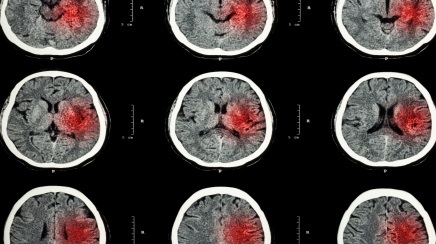 The results support future investigations into the risks and benefits of oral anticoagulant resumption after ICH, the researchers concluded. Biffi A, Kuramatsu J, Leasure A, et al. Resumption of oral anticoagulation after intracerebral hemorrhage is associated with decreased mortality and favorable functional outcomes. Presented at: 2017 American Academy of Neurology Annual Meeting. April 22-28, 2017; Boston, MA.